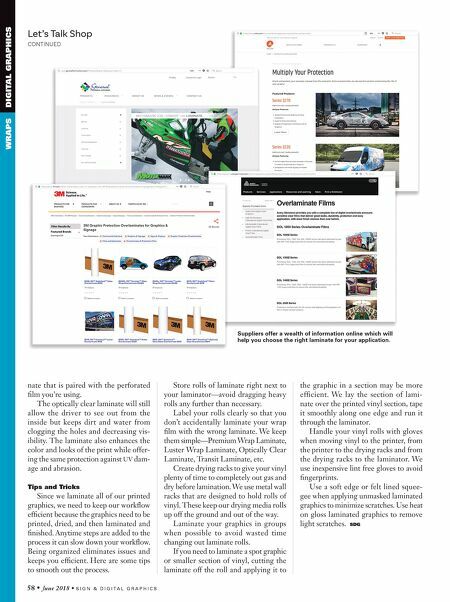 S I G N & D I G I T A L G R A P H I C S • June 2018 • 59 WRAPS DIGITAL GRAPHICS Sign & Digital Graphics presents some of the industry's latest wrap projects. If you have a recent project that you would like to share, please send a sam- ple of your wrap project to Matt Dixon at mdixon@nbm.com. 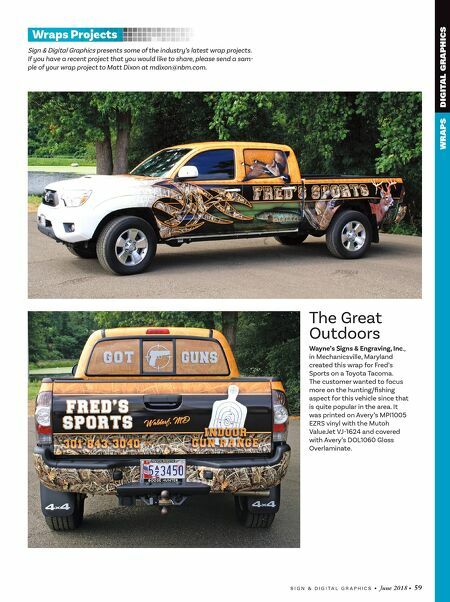 Wraps Projects The Great Outdoors Wayne's Signs & Engraving, Inc., in Mechanicsville, Maryland created this wrap for Fred's Sports on a Toyota Tacoma. The customer wanted to focus more on the hunting/fishing aspect for this vehicle since that is quite popular in the area. It was printed on Avery's MPI1005 EZRS vinyl with the Mutoh ValueJet VJ-1624 and covered with Avery's DOL1060 Gloss Overlaminate.